Rock N roll to new heights, and experience nature from a new view point! 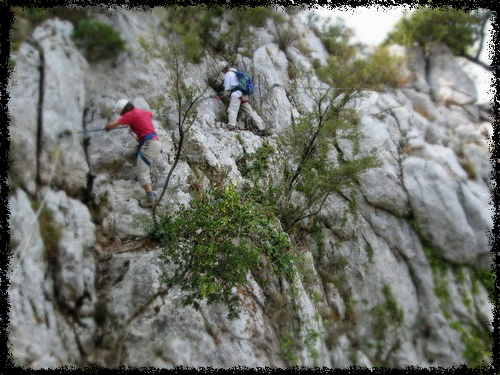 Traverse a rocky trail in the safety of a harness, accompanied by our qualified guides. Via cordata is similar to the Via Ferrata, though it focuses on the active contact with the rock. Equipped with your harness, your via ferrata lanyards and helmet, you can eaily discover the pleasures and excitement of an alpine adventure.